Do you struggle when it comes time to sit down and actually dig into your work? The kids are at school, napping, you have uninterrupted quiet time, which is rare so you’ve decided to work your business but NOTHING is happening? I felt the same way so many times before. I’d sit down and realize I needed a glass of water, or I had to pee, or my husband would decide that was the moment he needed help with something… you know the routine. 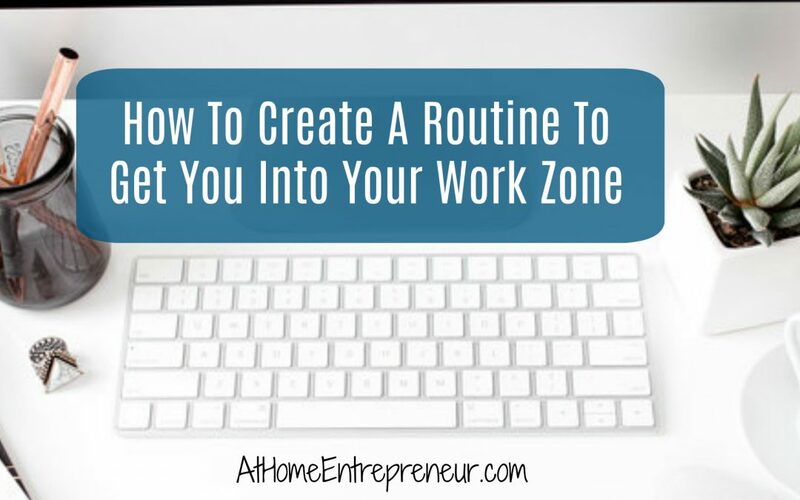 Through some trial and error I developed a “work zone routine” that has not only helped me be more productive, but it has helped me get in the right headspace to accomplish my tasks. I promise, this isn’t some fancy trick or some deep dark secret that no one has told you about, it’s about doing the same thing each and every time you get ready to sit down and work. I can’t say it was an original thought though, a mentor recommend Hal Elrod’s The Miracle Morning and I took a number of recommendations from the book. The author describes tips to create a morning ritual for a successful life. He discusses the importance of beginning your day being productive to set yourself up for success the rest of the day. While i’m certainly NOT a morning person, i’m a total night owl, there were perfect tips and tricks in The Miracle Morning that I could implement. 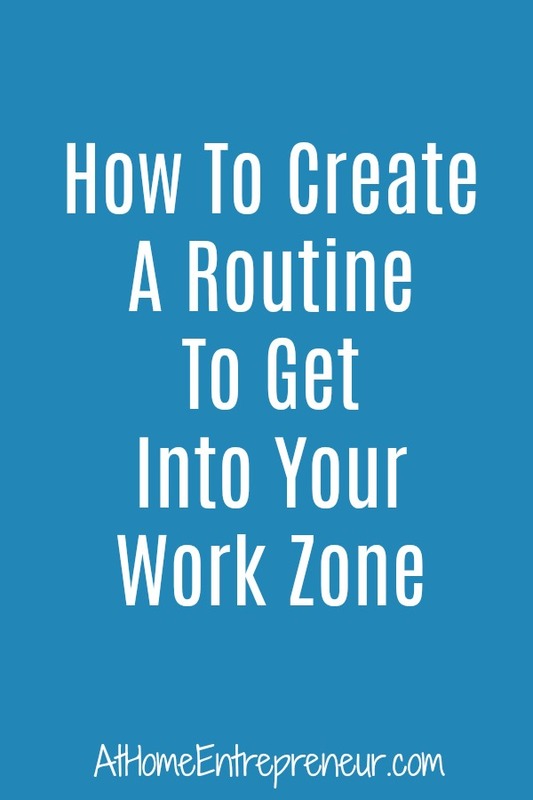 My biggest takeaways and things that I could apply were creating routines for success. To me this meant putting the important tasks into a routine and doing them every day, creating habits. As a mom every minute counts! Pull up Spotify or titanic (yea this one seems weird) and put my headphones in, my office is in the “dinning room” so theres no door. For me to get into my work zone I need to have music or titanic playing in my background. Like I said, Titanic sounds weird to most but it’s one of the two movies I can put on and listen to without watching and it’s oddly soothing to me. If I do these things before I sit down to work I let my brain know it’s time to focus, it helps me switch from “mommy mode” to “business mode”. I open up all documents ill need to accomplish my tasks whether it’s ipages, google docs, my email, etc. Like I mentioned, this isn’t rocket science and this is what i’ve figured out that works best for me, but I can say that it has worked well for a number of my clients too. Not only does it help you get you into the right head space but it helps get you productive right off the bat.